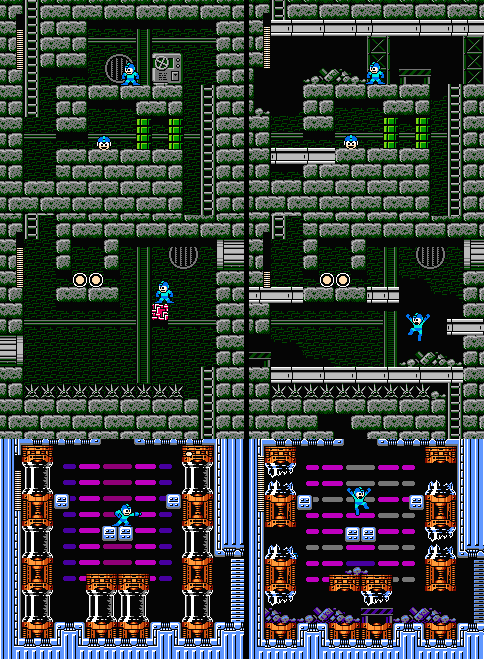 Im working in a new Megaman 3 hack. 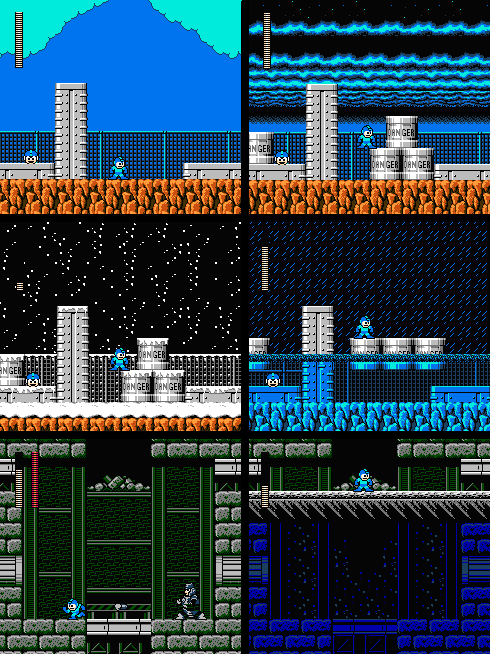 The idea is to create a large map, divided into 19 stages, in which the 6 original levels of the fortress of Dr Wily of Megaman 3 are intermingled, adding new routes, new stages, and re playing several zones, modifying the weather , the water level, the location of certain boxes, etc. 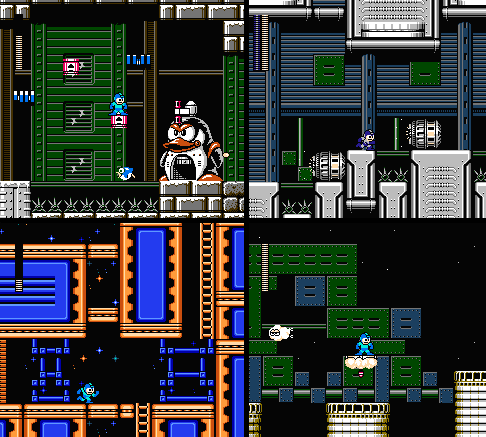 Different stages, top left, the original Megaman 3. Then, as they vary with the weather; and how the gameplay can be changed according to the case. Looks good. You know that I play your hacks. It's an alternative way of play the game. Surely you know now how to change sprites-tiles. I have experience with pixel art after made a lot with the fangame Resident evil demake but I have not Internet at home. If I had I will try make tiles-new gimmicks for your hacks. Sound like an interesting idea. I look forward to trying it out. Can you more fully explain that map? This looks really cool, can't wait to try it out when it's done. I'm interested in that, too. Is this basically MegaMan as a Metroidvania? Because that would rock my socks. "Oh boy have I got something for you"
It is a traditional Megaman where the scenes are having slight changes that take you to different areas. Some of it probe in Megaman Prometeo 3. I leave you an image of that hack. I can't wait to try this interesting mod. That recent screenshot looks really cool. I've played the Zeroa and ZX games and loved them to bits! I can see where you're coming from and he confirmed that it isn't metroidvania. I love that someone's doing interesting things with MegaMan 3. It's my favorite of the classic series and has so much potential.